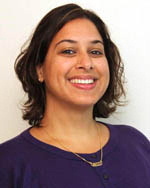 Tara Kumaraswami completed a Family Planning Fellowship (abortion-training program) at the University of Illinois. Drug license application for the state of Illinois. Medical license application for the state of Illinois. November 26, 2018 letter from MA Board of Registration in Medicine indicating a review of Kumaraswami is underway related to a bungled 2015 second trimester abortion. Documents in lawsuit. Defendants include Planned Parenthood League of MA, Rebecca Krieger, RN, & Tara Kumaraswami, MD. 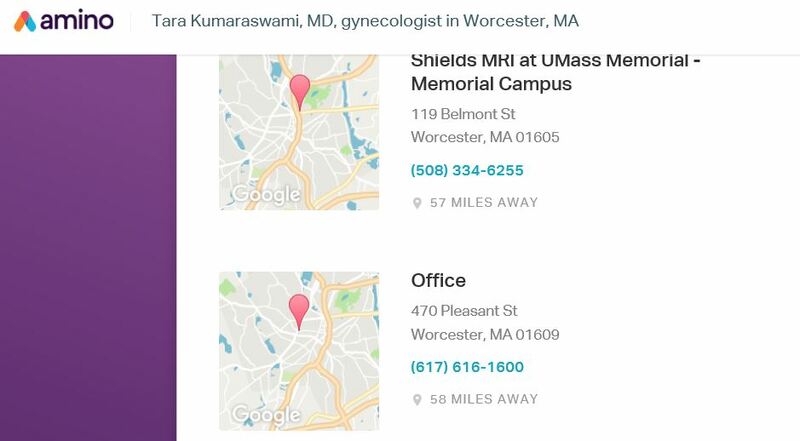 Two lawsuits against Tara Kumaraswami in MA. Tara Kumaraswami is a defendant in this case. March 31, 2018: Amended complaint in negligence lawsuit against PP. Plaintiff Celina Casas went to the Planned Parenthood clinic in Worcester, MA, for an abortion. Casas alleges she was given drugs to soften cervix in preparation for abortion then sent home. She delivered her baby in her home bathroom, which she alleges caused severe emotional and mental trauma. Claims she was never told there was a risk of delivering at home. 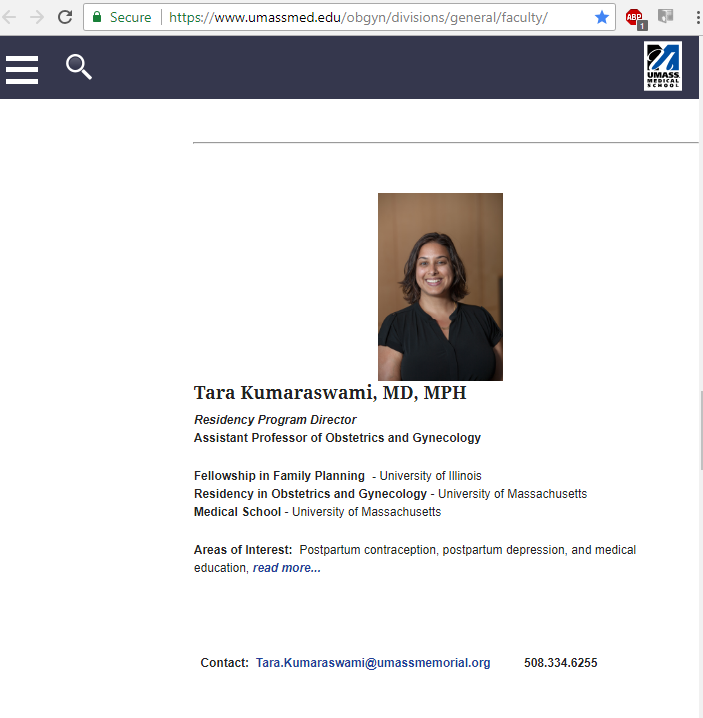 Note: Lawsuit was originally filed against PP League of Massachusetts and Rebecca Krieger, RN, but the doctor Tara Kumaraswami, MD, was later added as a defendant. See July 2018 case docket for list of defendants. Document in malpractice lawsuit filed by botched abortion patient Celina Casas. Defendants include PP League of Massachusetts, abortionist Tara Kumaraswami, MD, and abortion clinic nurse Rebecca Krieger, RN. Case docket for malpractice suit in Casas v. PP League of Massachusetts, et al. Defendants now include PP League of Massachusetts, Rebecca Krieger, RN, and Tara Kumaraswami, MD. For details see "first amended complaint." Note listing at PP abortion clinic in Worcester, MA. 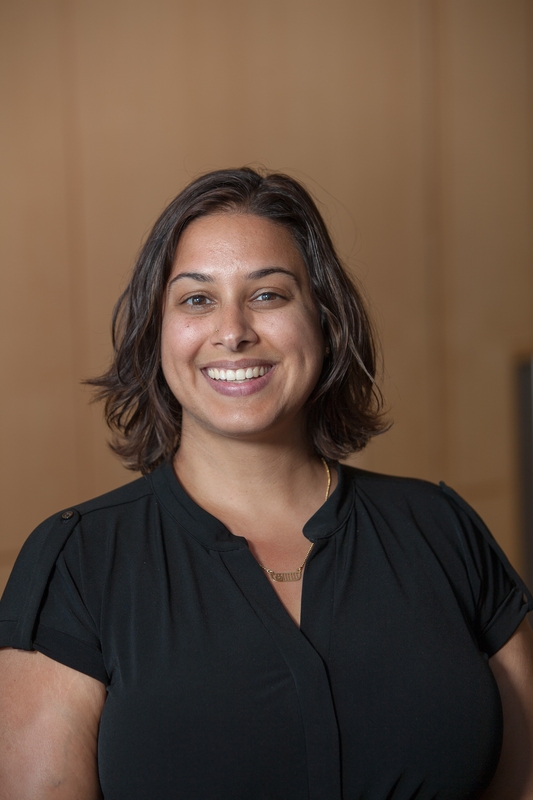 Article by Dr. Tara Kumaraswami, with abortion-rights group Physicians for Reproductive Choice. 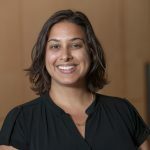 Family Planning Fellow (abortion-trainee) Tara Kumaraswami describes her experiences teaching abortion methods in Bangladesh. Note Fellowship in Family Planning at Univ. of Illinois. Kumaraswami is doing a Fellowship in Family Planning (abortion-training program) at the Univ. of Ilinois. 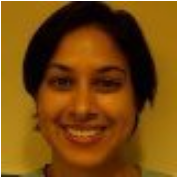 University of Mass Medical School -- 2009-2010 chief resident Tara Neubert Kumaraswami -- enrolled in Family Planning Fellowship at the Univ of Illinois. See page 2.